WFPK 91.9 in Louisville will be interviewing Reeves today from 3- 4 pm eastern, ahead of his show at Time & Space tonight. You can listen online here. And here's an interview with The Exponent. July 26th, 2015 - Lafayette, IN at Lafayette Brewing Co.
Aug. 5th, 2015 - St. Louis, MO at Cherokee P.A.C. 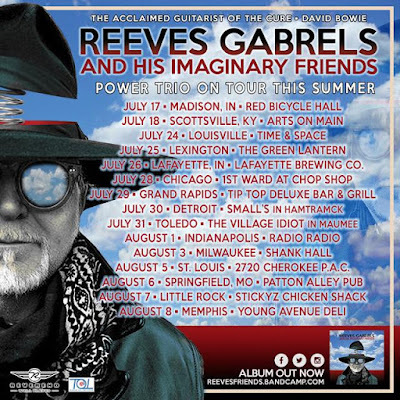 Get out to the shows and support Reeves! @CraigatCoF As ppl have asked: no California, Northeast etc, alas; schedule/$ allowed 1 weekend + 2 weeks via van, routed from Nashville. Update: And here it is! Thanks to JakeBradProductions. "The protagonist of the film, Ant-Man, was fighting with the antagonist, Yellowjacket, in a briefcase on a plane. The briefcase fell out of the plane, and as the contents of the briefcase were being tossed around, Ant-Man accidentally activates Siri on an iPhone, and Yellowjacket yells, "I am going to disintegrate you!" as Siri resonds "Playing Disintegration by The Cure." "Plainsong" begins playing as the two proceed to fight. Really caught me and my dad off-guard as Marvel and Cure fans. " Update (07/23/15): Director Peyton Reed tells Film School Rejects how and why this scene happened. 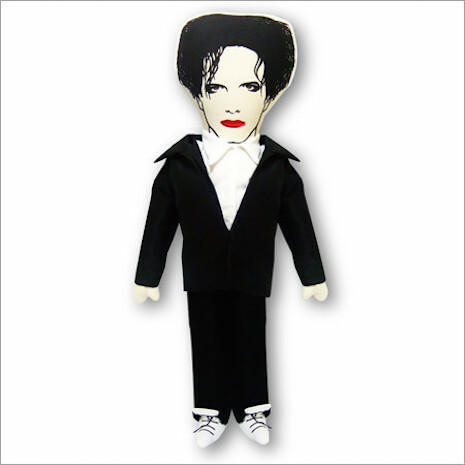 "The plush renditions you are about to see of some of the most influential cultural icons in history were created by Sao Paulo, Brazil based illustrator and toy designer, Josmar Madureira. His work was recently featured in a fantastic looking book, Toy Land by Louis Bou which boasts more than a half of a million examples of toy art from around the world created in various mediums such as vinyl, metal, fabric and of course, plush." "...and now from Natalie a look behind the scenes at the 99X/10 concert rehearsals with Hannah and Erin and Quartet Voluté. Im editing the full shows and a 30 minute interview from the evening and hope to post by the end of the week."